Andrew Hagar, son of rock legend Sammy Hagar, has released “Mourning Ritual”, the first single from his HAGEN ALTER project. Andrew is joined in the new band by Trevor William Church (son of bass player Bill “The Electric” Church) and Andrew Alejandro Saldate IV. Says Andrew: “It’s an old-school, ’60s/’70s rock and roll project with some major garage and psychedelic flavor. “Trevor and I have known each other since we were fetuses, so we’re basically cousins, and, of course, our fathers played in various bands together over the years. 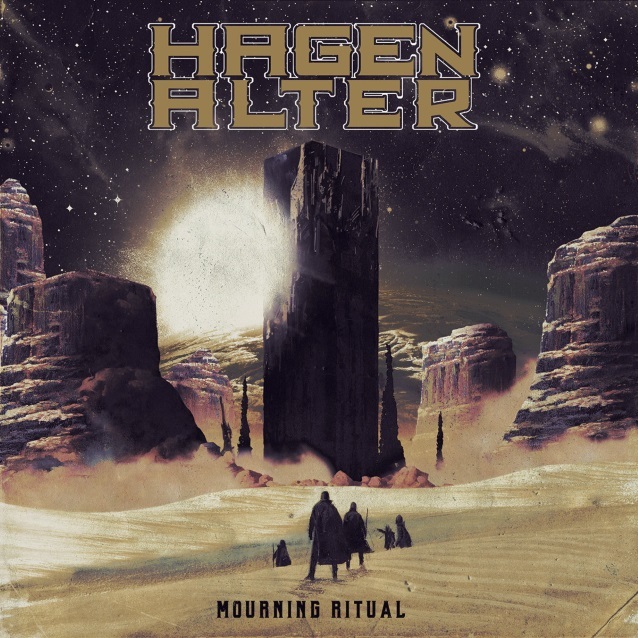 Formed a little over a year ago, HAGEN ALTER is planning to release an EP in the fall, to be followed by more music videos, and most likely a full-length record in 2019. Andrew is currently playing solo acoustic shows, including opening for Sammy Hagar and THE CIRCLE on May 17 at Agua Caliente Casino in Rancho Mirage, California and on May 19 at Starlight Theater at Pala Casino in Pala, California.